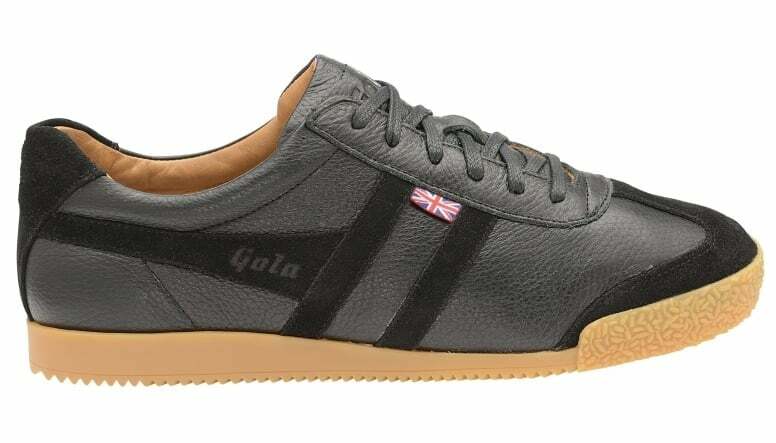 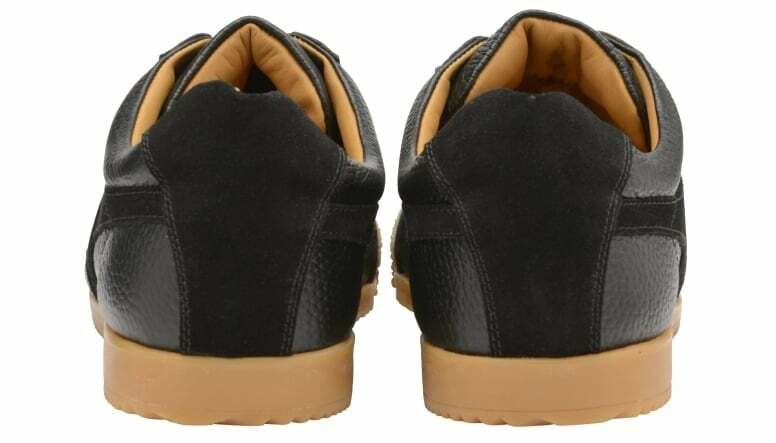 Harrier 317 is part of Gola’s premium Made in England collection. 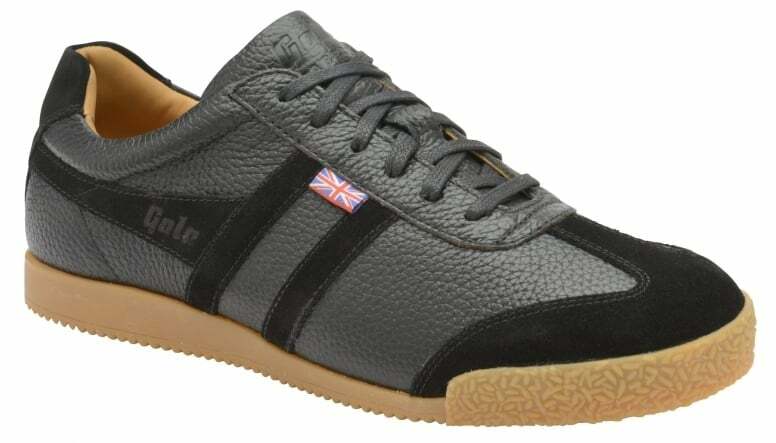 The Harrier silhouette was originally created in 1968 and was suitable for a variety of sports and general training. 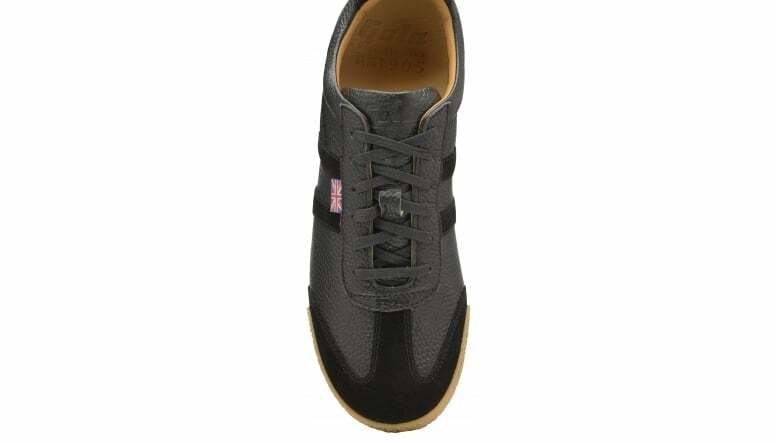 Using top quality materials, Harrier 317 in black features a textured leather upper and self-coloured suede toe cap and wingflash. 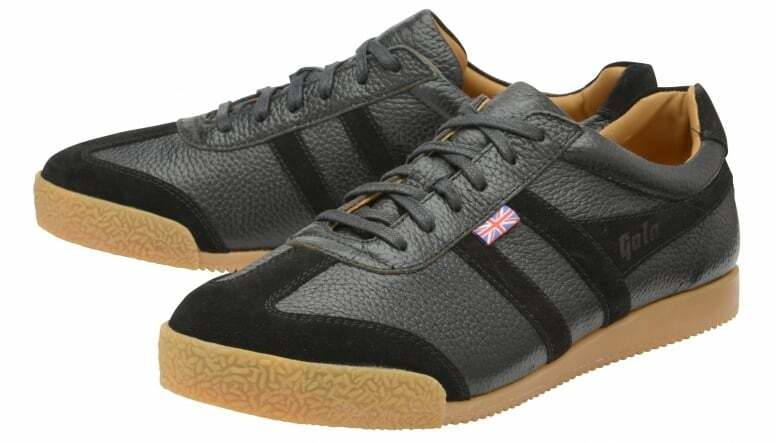 The style is completed with subtle Gola branding to the wingflash and tongue, a Union Jack tab to the side and a leather tan lining.